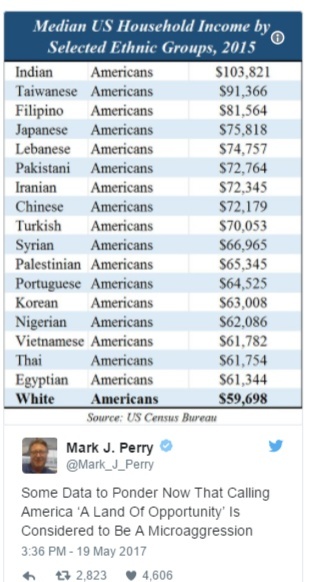 Just curious, where are Israeli - Americans on that list. Israeli is not an ethnic choice, yet, in US census data. New categories are being tested for the 2020 census that may include Israeli. And you can see why the envious and mediocre Trumpistas hate "Dem Immigruntz Who Takum Er Jebz" so much.